Here are some lovely pictures from half-term family workshops at Manchester Art Gallery this week and last! The workshops introduced the concept of complementary or 'best friend' colours in paintings in the Modern & Contemporary Gallery, taking inspiration from John Hoyland's '14.6.64' (1964). Families looked for sets of best friend colours in paintings and were asked to think about how the colours made them feel. 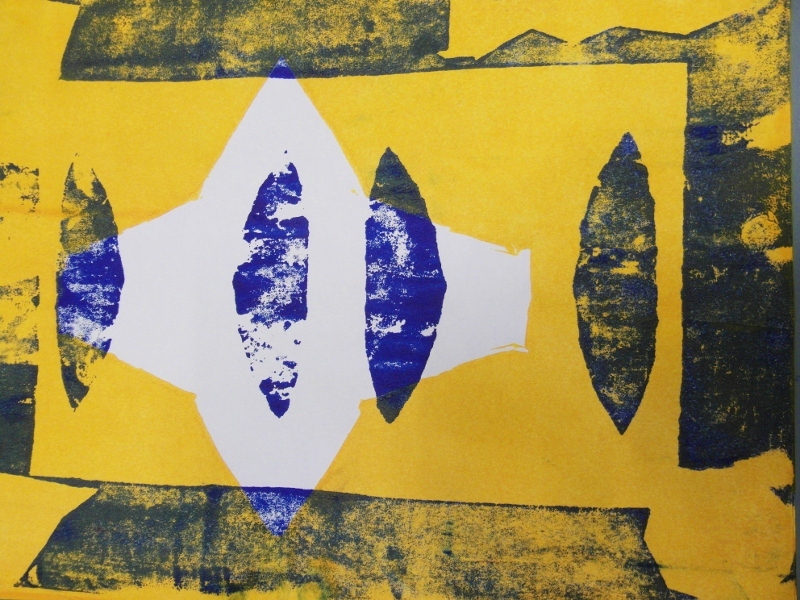 Later, downstairs in the studios, families could print using interesting objects and /or make abstract screen prints choosing combinations of complementary colours. Two studio activities were available for families with children aged 0-5 years and 6+ years. As the two weeks progressed the studio walls became filled with a collection of pop colours!